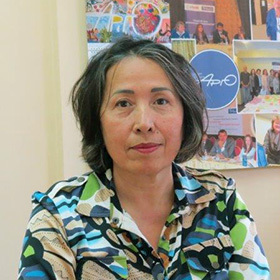 Director of NGO "IRIS" Semey, Kazakhstan. PhD in agriculture, ARGO Board Member, founder of Public Foundation “Small and Medium Entrepreneurship Development Agency” in Aktobe, Republic of Kazakhstan. 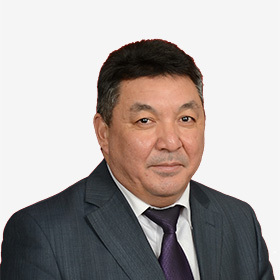 Mr. Myrkhin has more than 20 years of work experience in the nonprofit sector, is a member of the Public Council Presidium of Aktyubinsk Oblast, Chairman of the Public Council Commission of Aktyubinsk Oblast in the area of agriculture, land relations, subsoil use and ecology. Mr. Myrkhin is a consultant and trainer in the area of nonprofit organizations and entrepreneurship development. Chairperson of NGO “Bereke”, Shymkent, Kazakhstan. Ms. Abdullayeva is an expert with 17 years of work experience in the sphere of civil society development, promotion of community involvement in decision-making processes, and strengthening of NGOs’ organizational and institutional capacity. Under Ms. Abdullayeva’s supervision, Bereke is successfully implementing major socially significant projects and programs supported by well-known Kazakhstani and international donors.